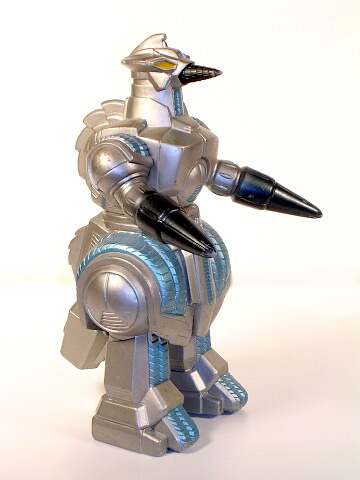 This is the hard vinyl G force Mogera aka M.O.G.E.R.A aka Mobile Operation Godzilla Expert Robot Aero-type. figure from the movie Godzilla vs. Space Godzilla. Issued by Bandai in 1994 this vinyl stands approx. 8 1/4 inches tall. Articulated at waist and arms. It is in EXCELLENT Condition almost NEAR MINT condition but does not have its TAG. Clawmark Toys Warning: Not Recommended for very young children due to sharp tips on head. 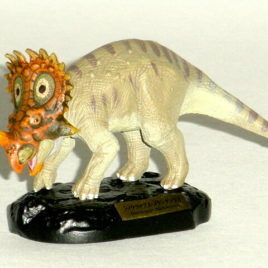 This is from the RARE First Collect Club series produced in 2002. Each Collect Club figure is polyvinyl resin and beautifully detailed. They are approximately 3-4 inches high. They require assembly. Each comes with a card, which has artwork of the figure and an explanation (in Japanese) of the phenomenon. Easter Island Stone Moai.